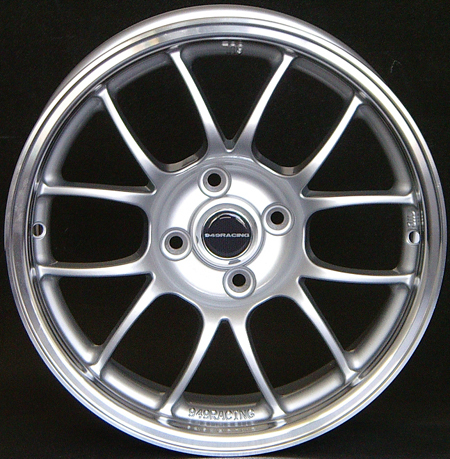 Trackspeed is excited to be the third official US dealer of 949Racing 6UL wheels. Our allocation for the August batch includes 15x8 and 15x9s. I will try to keep this thread updated as our allocation sells out. If you want a set, don't wait - I expect to be sold out very quickly. If you miss this batch, you'll be waiting until 2014 for 6ULs. I will also have Black and Silver lugs in stock and Black, Grey, and Silver valve stems in stock when our batch arrives later this week. Will-call pickup is available if you want to save a few bucks on shipping. Our shop is located in Sunnyvale, off of 237 between Lawrence and Great America Parkway. 6+ years of street and race experience on 6ULs means we can help you with virtually any fitment or application question you might have. Call us at the shop or send an email with questions or to place an order. Possibly interested in a set of Matte Black 15X9's but can't find them on your website. Wanted to go there to find pick up price, etc. Never mind- emailed you at the shop. Not on our site yet, and I suspect they'll sell out before I can get them on the site. 15x8s are $159/ea, 15x9s are $189/ea. 8 alloy valve stems adds $34, 16 alloy lug nuts adds $60. CA residents add 8.75% for sales tax.